Gold and silver on India’s Multi Commodities Exchange crashed to lower levels last week. Crude oil gained on high demand from investors while copper was still on the verge of a downfall. Algorithmic trading with mechanical sell positions promoted steep fall in gold and silver prices. Persisting slow down in Chinese economy and sad state of affairs in European economy ensured the commodities remained in bearish zone. High demand from importers kept crude oil in positive territory. MCX Gold traded in the range of 24830-27000 last week. The commodity remained in bearish territory as U.S gold crashed to $1183 per oz. Release on U.S Nonfarm pay rolls, Weekly Jobless Claims, Trade Balance and Spending may put pressure on gold prices in the global markets. Last week, MCX silver traded in the range of 38536-41334. The commodity crashed tracking gold prices. COMEX silver also witnessed a bear rally to lower levels. Chinese HSBC Services PMI and Euro zone retail sales data is likely to announce this week. Worries over Chinese economy may put pressure on silver prices. 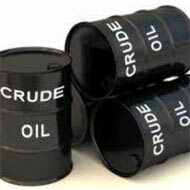 MCX crude oil traded in the range of 5570-5867 last week. Depreciation of Indian Rupee to 60.5 levels against dollar capped further fall in crude oil prices. American Petroleum Institute release on US crude oil and gasoline inventories are scheduled for Wednesday. Weakness in Dollar Index may impact crude oil prices further. MCX copper traded in the range of 406-413 last week. The commodity witnessed low volatility on Chinese outlook. Indian HSBC Services PMI and U.K Construction Purchasing Managers Index (PMI) data are scheduled for the week. Short recovery is expected for copper around 394-392 range. To get best commodity tips free trial you can check commodity sources. Rise in interbank rates in Chinese markets to 12% gives out the impression that China is hitting on momentum brakes and provides for assumptions that the economy there is undergoing a deliberate slow down. MUMBAI: With Chinese manufacturing shrinking at enhanced speed this month as reflected in HSBC-Markit PMI readings, questions are raised on the future prospects of copper. The PMI reading came at 48.3 well below the 50 mark that separates expansion from contraction; of course, below-50 readings are indicative of contraction in the economy. This, coupled with rise in interbank rates in Chinese markets to 12% gives out the impression that China is hitting on momentum brakes and provides for assumptions that the economy there is undergoing a deliberate slow down. Traders can subscribe mcx copper tips to make good profit in commodity market. ShareTipsExpert India’s No 1 Advisory Firm offers best mcx copper tips for traders which help traders to earn good profit. The rates climbed as the central bank of China “refrained from using reverse-repurchase agreements to inject cash into the financial system,” as per Bloomberg. “If market rates remain at such high levels, the only scenario for the Chinese economy is a hard landing,” said Xu Gao, chief economist with Everbright Securities Co. in Beijing to Bloomberg. “That possibility is growing now — it seems the leadership is deliberately taking a wait-and-see stance to see how low China growth can be,” he noted. “Sentiment among traders in China has shifted from short-term bullish to cautious on copper. On the one hand, refined supply remains tight in China due to smelter maintenance and scrap shortage, and physical premiums remained at elevated for domestic spot market and bonded warehouse stocks. On the other hand, LME prices fell sharply on bearish macro developments and failed to rally on supply disruptions which is viewed as a negative for future price action,” Barclays report added. On the Comex, copper for delivery on July 13 was seen trading at $3.098 a pound, a loss of $0.041 or 1.31% as of 10.33 AM IST. On the MCX, copper for delivery on June was seen trading down by 0.12% at Rs.407.85 as of 10.33AM IST. Brent crude futures were barely changed around USD 105, holding not far off their strongest level in 10 weeks, as investors remained cautious ahead of a US Federal Reserve meeting. The Fed, whose two-day policy meeting starts on Tuesday, is under pressure to roll back some of the USD 85 billion in monthly bond purchases after advances in the US economy. Its three quantitative-easing schemes have buoyed prices of commodities. At 0446 GMT, Brent was up 5 cents at USD 105.52 a barrel. It rose to 106.67 on Monday, the highest since April 4, on mounting tensions in the Middle East. US oil added 5 cents to USD 97.82 after hitting a nine-month high near USD 99 a barrel in the previous session. “What I’m expecting is some indication of a slow, measured tapering of the bond-purchase programme by the Fed. It will cause some impact to markets at the start but I’m looking for minimal slippage at least for oil prices,” said Carl Larry, president of Houston-based Oil Outlooks and Opinions. Global financial markets have been on edge since Fed Chairman Ben Bernanke suggested the central bank would be looking to taper its stimulus if the economy showed signs of improvement. The oil market is also keeping an eye on a standoff over the civil war in Syria as world leaders lined up to pressure Russian President Vladimir Putin into toning down his support for Syrian President Bashar al-Assad on the second day of a G8 summit. Any run-up on geopolitical risk would soon bump into a fundamental situation of ample supply and uncertain demand. “The market has certainly built in a risk premium into prices, and this should keep it supported despite fundamentals suggesting that there is more than enough oil out there to buffer a disruption to any kind of supply from the region,” said Larry of Oil Outlooks and Opinions. US commercial crude oil stocks are expected to fall due to lower imports, according to a preliminary Reuters poll done on Monday. The gap between fundamentals and pricing continues to widen as value investors awaken to the speculative potential of silver. Instead of irrational euphoria and widespread participation, there was irrational despair in the form of generally poor sentiment from the outside looking in. Recent trading in silver and gold has shown the inverse of patterns consistent with a speculative frenzy. Instead of retail investors buying into a rising market, steady and massive accumulation has been noted on dips. This was happening long before the April crash in precious metal prices. This is the strongest form of accumulation, because it is mostly free from emotion. The emotional nature of the market is unusually strong. No panic selling out of fear arose. Instead, the price takedown in the paper futures market was blatant and commonplace. No greed factor was noted, as buyers continue to come into the physical market at the lower prices, despite relatively high premiums for buying physical metals. Again, those who accumulate at this stage are the strongest hands, made up of users and value or contrarian investors who see through the enormous facade of the paper silver market with mostly dispassionate eyes. These investors are a testament to silver’s tendency to remain a monetary asset, a fact that continues to worry central bankers. Sharetipsexpert India’s No 1 advisory firm offers free mcx gold silver tips for traders which help to get good earnings in commodity trading. Their free mcx tips are 80% to 90% accurate which can make better profit for traders. Is the CME Fueling its Own Demise? The CME and its big commercial traders have been cheating the rest of the market in the name of liquidity. In a real blowout, most of the selling happens in a frenzy at the bottom. The lower the price goes, the more metal will become available as the weak hands panic. The problem with this is that the weak hands just do not have any physicalto sell, as the strong hands stand ready to buy it up. Some physical buyers will unload some or all of their holdings, but most long term precious metal investors will see the latest sell off charade for what it is: just another opportunity to add to their positions. All of the reasons they bought these metals to begin with continue to be confirmed. The only real danger to the fundamentals (and the situation is probably past the point of repair in that regard) are fiscal changes that negate the necessity of money printing. This is highly unlikely to happen in the present situation. For the first few years of Quantitative Easing, one could perhaps have argued that the money stayed locked up in the banking system. Now the huge amount of money being created is being spent on food stamps and the like, feeding right into the economy. The result is a decoupling at the very least, in the absence of an outright currency collapse. Two markets now seem to be operating, and the pricing difference between them may ultimately widen considerably. One is the paper futures market for the traders, while the other is the physical market for the users and retail investors. Could this paper-physical price divergence happen without the imposition of capital controls, the banning of silver and gold ownership or other forms of confiscation? Well, it is already happening. The big futures market players have been orchestrating the most egregious, uneconomic, selling cascades at will almost daily in front of everyone without any obligation to deliver physical metal, but no one seems to care. This has brought the paper futures market just a flap of the proverbial butterfly’s wings away from default and panic. Controls imposed in the midst of such a crisis would only serve to further inflame the panic. A black market would develop immediately. Just think of all the investors who bought their metal with cash, or who otherwise went undetected. It would be a nightmare going after these people to take away their metal. The relatively small silver market would be only be $500 billion in sizeeven at a price of $500 per ounce if silver inflated by more than a factor of ten. To put this in perspective, that vastly inflated silver market would still be far less in size than the annual Federal budget deficit and is not even as large as the big bailout from 2008. Producers must be willing to hold back their stocks to see the prices really start to rally. Miners are the last holdout, and they have largely remained silent about the manipulation of their product, at the expense of their shareholders. Perhaps they are bought and paid for by the very banks that provide their cash flow accounts and financing, since it is these same banks that also profit from the ongoing price suppression. Ultimately, these big dealers and their purported non-for-profit customers will have to pay higher prices to cover their massive shorts.